Google, through it’s Nest division, has announced that they are acquiring Dropcam in a deal worth $555 million dollars. Dropcam is the company behind the easiest personal surveillance cameras on the market. 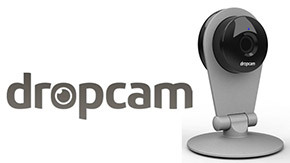 As the name suggests, setting up Dropcam is almost as easy as dropping the camera where you want to set it and going. Nest, is the company Google acquired earlier this year for $3.2 billion that makes smart thermostats and smart smoke/carbon monoxide detectors. It was founded by former Apple engineers Tony Fadell and Matt Rogers. Fadell is often credited with creating the iPod while working for Apple. The idea here, makes perfect sense. Nest is in the smart home business and so is Dropcam. By combining the two products under one umbrella they can work closer together on a more complete smart home offering. Once Dropcam is set up people can monitor their homes online and receive alerts when there’s movement in the home. When the companies are under the same roof we could naturally see the ability to be notified with video when the environment in the home changes. Both Fadell and Rogers said that they weren’t only making thermostats as well. They released their Nest Detect, smoke and carbon monoxide detector last year. They briefly pulled the detector off the market back in April after internal engineers discovered a safety issue in a gesture controlled deactivation feature. They actually put the Nest Detector back on the market Wednesday. Privacy activists are going to have a field day with this acquisition because of the amount of personal data Google already has on users. Tapping into video in the home sounds like something out of George Orwell’s 1984, to some. Google has gone to great pains to distance themselves from the deal. In fact the official press release from Nest does not include Google. Rogers also went on to say: “Nest has a paid-for business model and ads are not part of our strategy,” Rogers said. “In acquiring Dropcam, we’ll apply that same policy to Dropcam too. Only time will tell how close this acquisition actually gets to Google. One of Dropcams main features is the ability to upload their video to the cloud automatically, certainly Google could supply Dropcam with an enormous amount of storage space. The deal will have to go through a regulatory process and they expect it to close before the end of the year.